The U.S. Department of Defense says blockchain technology has “enormous” potential in helping improve disaster relief efforts. 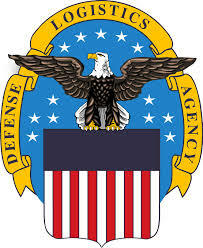 The Troop Support division of the Defense Logistics Agency held a meeting last month in Philadelphia to understand how blockchain could have helped its already “successful” efforts assisting in Puerto Rico after the devastating Hurricane Maria in 2017. The meeting was hosted by Troop Support’s Continuous Process Improvement (CPI) office. Currently, the DLA tracks logistics processes through centrally managed systems, which makes it hard for involved parties to synchronize data and ensure they all are tracking correct and up-to-date information. By using blockchain technology, the agency could track data and thereby improve supply chain transaction processes and in-transit visibility of shipments, it said in the report. Keeping up with emerging technology in government can make you feel like the lame kid in high school: When there’s a party, you don’t usually hear about it. A new initiative at the General Services Administration aims to loop any interested feds in on the latest efforts to roll out artificial intelligence, blockchain and other emerging technologies across government. Last week, GSA announced plans for EmergingTech Check, a monthly report on current and new emerging tech programs, pilots and resources across the government. The report will include updates for ongoing programs, detail the challenges teams are facing and highlight the evolving needs of each project, according to Justin Herman, who heads the Emerging Citizen Technology Office at GSA. There are few people in the federal acquisition community who are on a higher trajectory than Jose Arrieta. The General Services Administration’s director of the Office of IT 70 Schedule Contract Operations not only rejects the risk averse culture of the government, but he isn’t afraid to take on bigger challenges. To that end, sources confirmed Arrieta is leaving GSA to become the deputy assistant secretary for acquisition and senior procurement executive at the Department of Health and Human Services. The General Services Administration launched a collaborative resource for agencies researching how technologies like artificial intelligence and blockchain could improve government services. The U.S. Emerging Citizen Technology Atlas, publicly launched last week, aims to “demystify new technologies that have the potential to dramatically improve services for citizens, cut through the hype and get to the bottom of practical applications,” according to a GSA blog.